Providing up-to-date traffic information has become one of the new services television stations are offering, and WALA FOX10 has just launched what it claims to be the first “real-time, interactive traffic system” for this market. Called “Traffic Tracker,” the feature uses multiple data streams to provide real-time info on whether cars are crawling along the Causeway or cruising along Cottage Hill. Looking at what was available on the FOX10 website, it appears the Tracker will be broadcast at critical drive times. Traffic Tracker certainly isn’t the first effort by local TV stations to give viewers traffic information. WPMI and WKRG both offer traffic information on their websites linked to the Alabama Department of Transportation and its cameras. WPMI also sends traffic alerts to cell phones giving info on conditions in some of the area’s trouble spots throughout the day. But it looks like FOX10 will be the first to make it part of the broadcast. According to FOX10, though, the difference with Traffic Tracker is the way it makes it possible to show viewers the flow of traffic on local thoroughfares as well as alerting them to accidents, breakdowns and other delays. WALA says Tracker also integrates with the station’s weather software to warn of weather-related issues that can cause delays or create dangerous driving conditions. Additionally, the system uses 3-D imagery to show traffic troubles, and also offers drive-time estimates. FOX10 management expects Traffic Tracker to be most heavily viewed during morning and early evening newscasts, but it will be available whenever traffic issues arise. WALA’s Bob Grip tweeted Tuesday afternoon that a FOX10 reporter trying to do a story on a possible issue of ice melting at the Riverside Ice skating rink rented by the city was being blocked from doing her job by an employee of the company that owns the rink. “@DevanCoffaro says ice is melting @RiversideIce & the rep from Magic Ice USA is trying 2 keep her from taking pix” read the tweet. 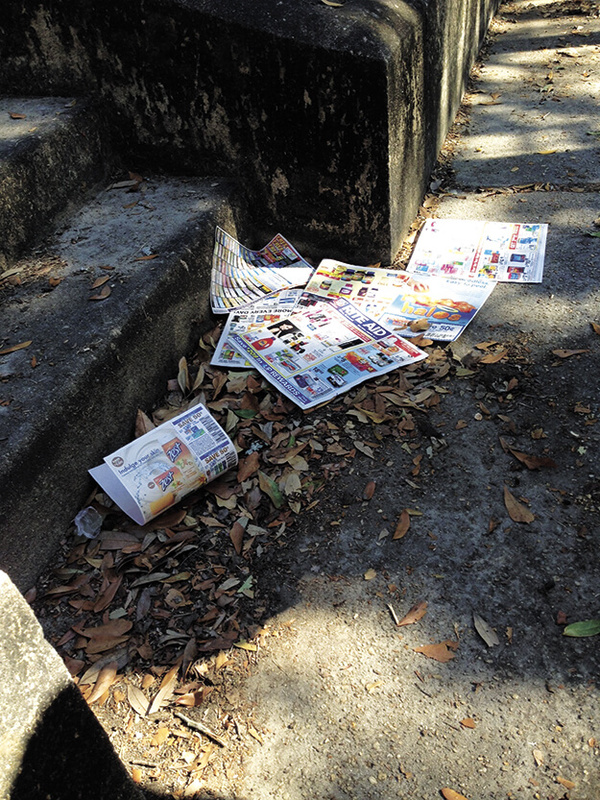 A call to the Mayor Sandy Stimpson’s office got to the bottom of the story. Apparently the ice had been thawed some in anticipation of rain Tuesday night, as well as for some maintenance. But when Coffaro tried taking photos of the melted ice, the Magic Ice USA employee did try to block her and eventually the mayor’s spokesman George Talbot got involved and informed the employee it was Caffaro’s right to take the photos. A bit similar to last week’s Missouri University situation where reporters were blocked from doing their jobs, but at least this time someone was there to explain the law. I’ll say it again, folks: If it’s in public, it’s fair game. That’s the First Amendment. Just a reminder to those who might be interested, you can get Lagniappe delivered to your home now for just a buck a week! We’ve offered home delivery for several weeks now, but with the holidays coming up I thought it might be a good time to remind readers that the gift of a home-delivered Lagniappe is sure to make any loved one smile. OK, that’s enough Hallmark. Many have asked, so I figured I’d offer an update. Home-delivery subscriptions are coming along steadily. 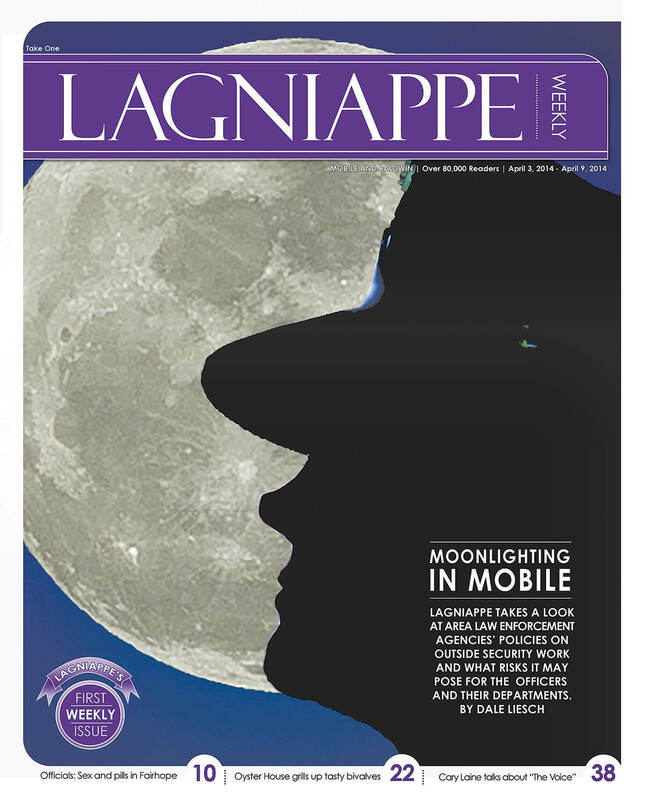 In addition to getting the paper at home, subscribers also become one of Lagniappe’s Friends With Benefits, which means getting an early story each week as well as weekend entertainment and events via email. We also select any giveaways from our FWBs, so that can come in handy. While the goal is to provide readers who have trouble getting out to pick up the paper an option, the subscriptions will also help Lagniappe toward our goal of being able to publish legal advertising. We’re currently barred from doing so by an antiquated state law some of our local legislators blocked from getting changed. But that’s another story. Just know it will help the health and growth of Mobile’s locally owned weekly newspaper. So get Granny a subscription and help Keep Mobile Funky.